The kind of grape used in the making of wine has a lot to do with how it eventually turns out. And where those grapes were grown also has a huge part to play in how good or bad the final product will be. Even more important is the climate that the grapes grow in; there is a reason for a preference of grapes from certain regions because those produce the best quality. Climate is the driving factor for grape production. The kind of soil used may not matter as much, but the temperatures need to be in the right conditions. Although both Napa Valley and Bordeaux have different climates, both are able to produce Cabernet Sauvignon. Grapes can grow in both cool and warm climates, but there will be differences when it comes to taste. Wines that are more subtle, have a lower alcohol content, and have bright fruity flavors come from regions that have a cool climate. On the other hand, warmer regions tend to produce wines that are bolder, fuller in body, have higher alcohol content, and feature darker fruit flavors. 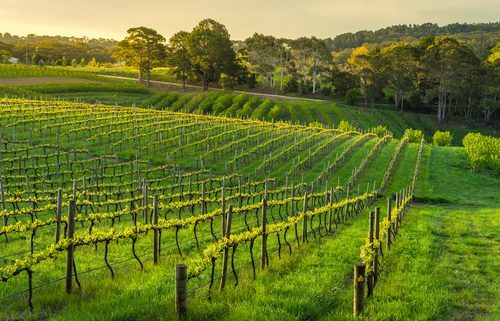 The journal Nature Climate Change published a study in 2016 suggesting that rising global temperatures can actually contribute to producing better wine. But also warned that the continuous warming of the earth will be trouble in the long run. Climate change has also caused traditionally non-wine producing regions to actually grow grapes. 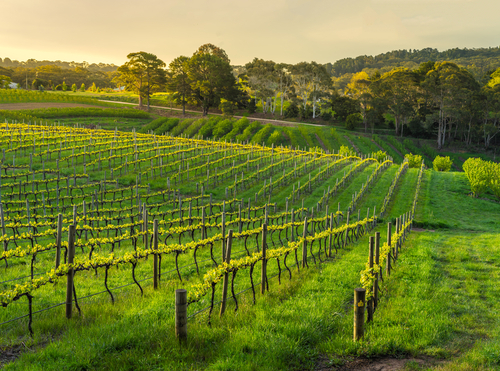 For example, the warming temperatures have allowed vineyards to thrive in Scandinavia. Although wine can grow in such regions, vineyards are also subject to weather or climate risks, like freezing during winter. Grapes – and all crops for that matter – need solar energy to grow. Solar energy is responsible for the development of sugar content of grapes and its alcohol content. This is why location matters when growing grapes for wine production. Some areas on earth do not receive enough solar radiation in a year. Temperature is crucial because it affects when the grapes ripen and the quality of the fruit. Although the growing season varies, it typically hovers around 170-190 days. Grape growing is also favored more in regions where temperatures for the warmest month is around 66 degrees Fahrenheit while the coldest months are more than 30 degrees Fahrenheit. Too much heat affects the growth of plants, and climates that are too cool minimize the yield. While grapes do like warm temperatures, too much of it can spell trouble. Other factors such as wind and precipitation can also affect grape growth. All this goes to show that climate plays a huge role in how wine eventually turns out. And if you’ve found wine that has turned out spectacular, don’t forget about the importance of storing that wine. Contact Chateau 55 for more information on your options!